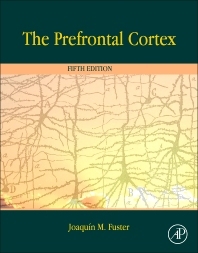 The Prefrontal Cortex, Fifth Edition, provides users with a thoroughly updated version of this comprehensive work that has historically served as the classic reference on this part of the brain. The book offers a unifying, interdisciplinary perspective that is lacking in other volumes written about the frontal lobes, and is, once again, written by the award-winning author who discovered "memory cells," the physiological substrate of working memory. The fifth edition constitutes a comprehensive update, including all the major advances made on the physiology and cognitive neuroscience of the region since publication in 2008. All chapters have been fully revised, and the overview of prefrontal functions now interprets experimental data within the theoretical framework of the new paradigm of cortical structure and dynamics (the Cognit Paradigm), addressing the accompanying social, economic, and cultural implications. Neuroscientists, neuropsychologists, psychologists, neurologists, psychiatrists, neurosurgeons, rehabilitation professionals, and graduate students in neuroscience, psychology, and psychiatry. Dr. Joaquin M. Fuster was born in Barcelona, Spain, in 1930. Studied medicine at the University of Barcelona. In Barcelona and Innsbruck (Austria), he specialized in psychiatry. In 1957 Fuster emigrated to the United States for a career in neuroscience at the University of California, Los Angeles (UCLA). In 1962-64, he worked as a visiting scientist at the Max-Planck Institute for Psychiatry in Munich. He received his PhD. in neuroscience at the University of Granada, Spain. Dr. Fuster is Professor Emeritus of Psychiatry and a member of the Brain Research Institute and the Semel Institute for Neuroscience and Human Behavior at the UCLA's School of Medicine. Dr. Fuster's major honors and awards include: the title of Member of Honor of the Spanish Royal Academy of Medicine (1997); Signoret Prize (Université de La Sorbonne, Paris) (2000); Fyssen International Science Prize (2000); Doctor Honoris Causa, Universidad Miguel Hernández, Alicante, Spain (2003); Goldman-Rakic Prize for Cognitive Neuroscience (NARSAD) (2006); George Miller Prize of the Cognitive Neuroscience Society (2006); Doctor Honoris Causa, Universidad Autónoma de Madrid (2008); Geschwind Lecturer, Harvard University (2009); Woolsey Lecturer, University of Wisconsin (2010); Elected Member, American Academy of Arts and Sciences (2010); Segerfalk Lecturer, University of Lund, Sweden (2010); Doctor Honoris Causa, Universidad Francisco Marroquín, Guatemala (2014). Dr. Fuster is the author of more than 200 articles and 8 books.